Graphik Line Painters are a fine line paint pen filled with lightfast, permanent, opaque waterbased ink in 20 colours. The 0.5 Japan nib is robust and delivers a fluid paint line. Allow ink to dry for about 30 minutes before they become permanent. This set is the full monty containing all 20 Line Painter colours. I have been considering these pens for a while now and when I saw that they were on sale I jumped at the chance to grab the set of twenty, I am so glad that I did! Derwent Graphik Line Painters are paint pens, but they are unlike any other paint pen I have used before. They have very opaque free flowing ink and lovely fine nibs, making it possible to achieve amazing fine details and even write with them. I tested these pens on both white and black paper and I have been very pleased with the results; especially the colours “fox” and “snow” on black paper. My only complaint thus far is that there are only twenty colours; I hope that Derwent will release more colours in the future. 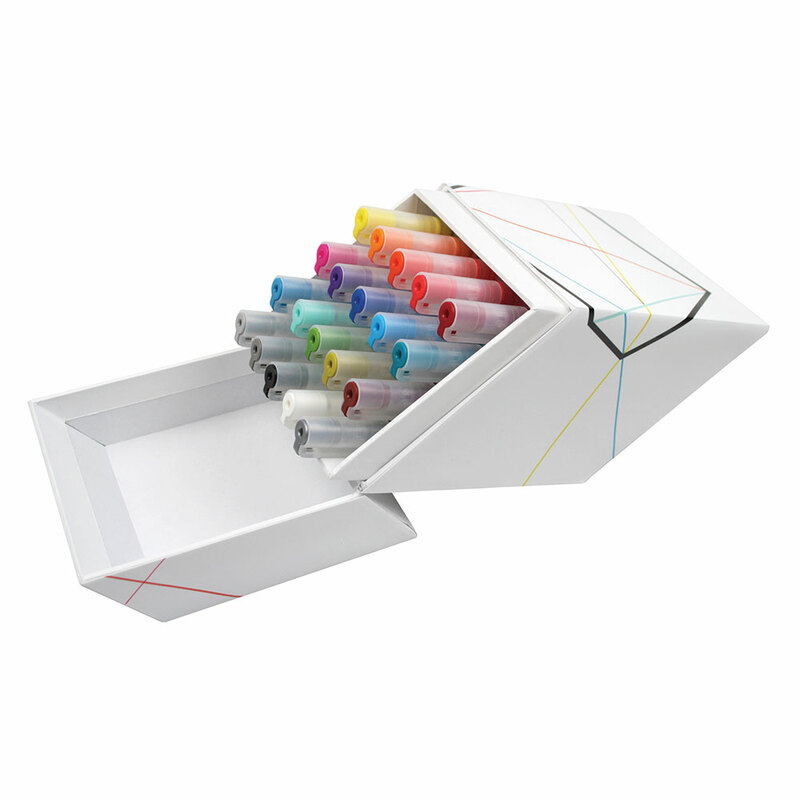 These Derwent pens are presented in a strong box and as such it is easy to find the colour needed at any one time. The pens need a little gentle coaxing to release color the first time they are used. There is a good variety of colours though I would like to see one of the reds replaced by an orangy- red.